It is not easy to get good grades in school. Everyone finds it difficult to cope up with their studies, even for your class’ topnotchers (though they might not admit it). Even if you do understand the lesson, you still have to do extra learning through finishing your homework and projects. 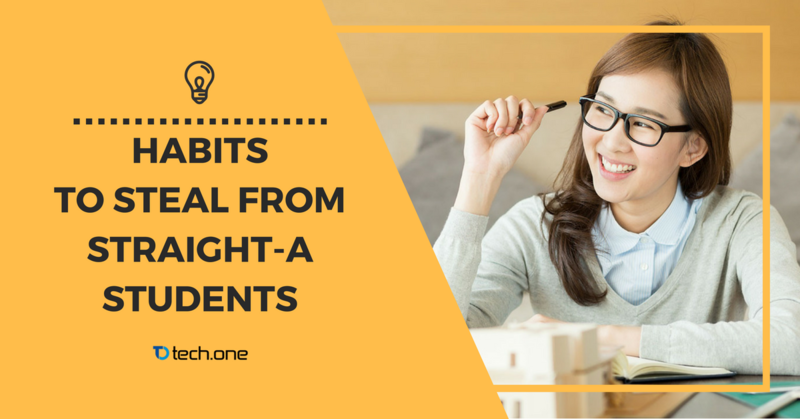 Be it a required reading or not, straight-A students tend to open a book from time to time. Even though you don’t see them with a book all the time, most of them keeps a reading app on their phones and spend hours reading an e-book instead of texting. Reading does not only boosts your imagination, it also improves your vocabulary and comprehension. Not only does reading helps you with your studies but it can also help you further down the road as John Coleman explains that deep and broad reading habits are often the defining characteristic of great leaders. Straight-A students tend to be more active than others. They participate in recitations and discussions rather than just listening to the teacher. They are not intimidated by teachers and speak up when they don’t understand or is confused by something. They are also unafraid to commit mistakes and immediately find a solution to correct those. Know more why you should participate in class here. Knowing what comes first is what straight-A students are good at. They have their priorities set and they do one thing at a time. A study shows that multitaskers take 50% longer to accomplish a single task and make up to 50% more errors. Multitasking can also lower your IQ 15 points temporarily. Setting up a daily schedule is also the way to go after you have sorted your priorities from the least to the most urgent and important. Make use of the built-in apps in your phone for listing your daily tasks and schedule. Most of the straight-A students have superb organization skills. They don’t miss out on deadline because they keep a planner. They do not misplace a module because their papers and files are kept in and organized. Since it’s already the digital age, most of your modules and files may not be printed on paper anymore. What can you do to still manage your digital files without the fear of losing them? Back them up with a cloud-based document management system like Enadoc . 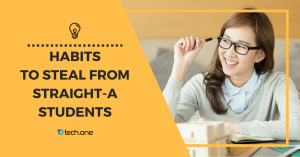 These habits may not be able to turn you to a straight-A student immediately, but it is a good start to develop these habits for a more productive school life. Do you agree with these habits? If so, share this post to your friends!